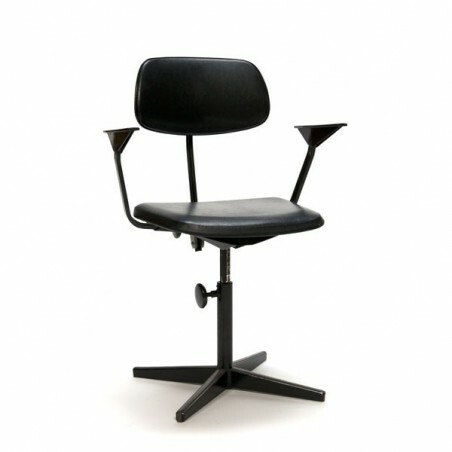 Vintage design chair designed by Friso Kramer. 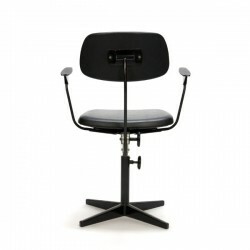 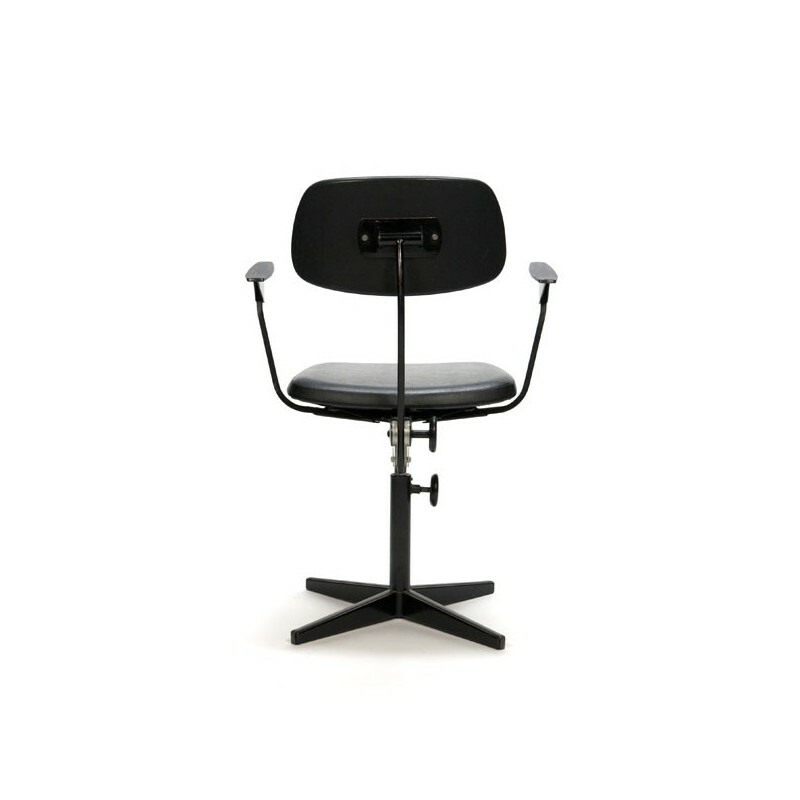 The chair is designed as an architect chair and/ or drawing chair, but can also be used as a desk chair. The condition is good, the chair has a black leatherette upholstery (original and in good condition). 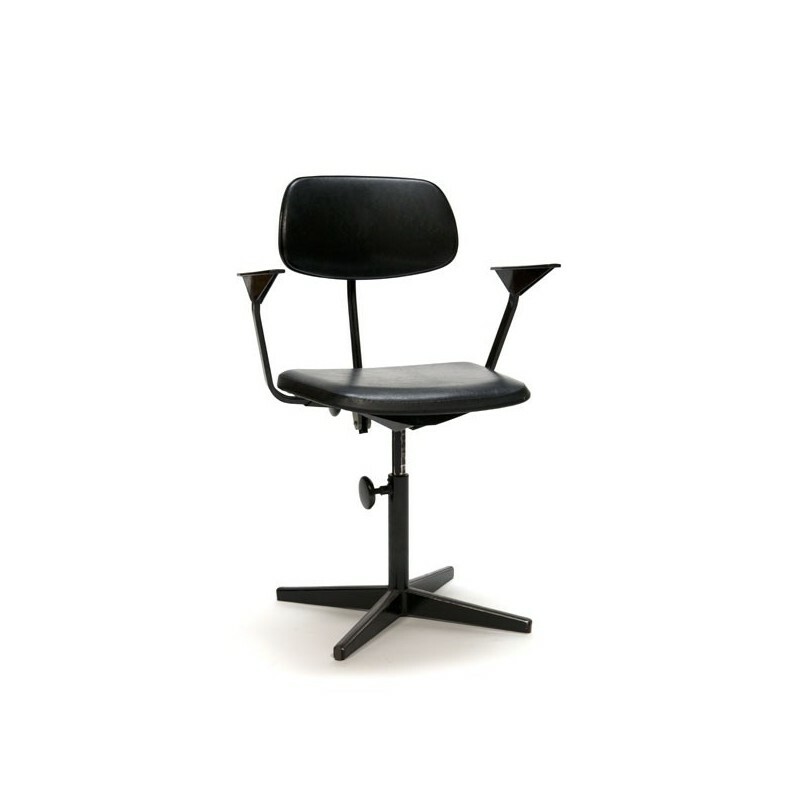 The dimension is 59 cm wide, height seat height is adjustable 41 cm- 56.5 cm, the maximum height is 93.5 cm.